The Housing Authority of the Town of Glastonbury has been providing quality property management for affordable apartments since 1943. You will find all Glastonbury properties to be in wooded park like settings, convenient to the center of town and all shopping. Our elderly housing communities have a resident group that provide various social events and activities. The Town of Glastonbury Human Services department provides resident service coordinators, social activities and dial a ride services. Other services such as meals on wheels, chores services, homemaker services and visiting nurses may be offered or coordinator at our various properties. The Authority currently administers a total of 445 assisted dwelling units within the Town of Glastonbury. These include the following housing developments: Welles Village, Center Village, Village Green, Herbert T. Clark House, and Housing Choice Vouchers (Section 8). 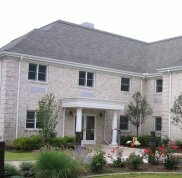 The Authority was the developer and provides management services to the Herbert T. Clark Assisted Living facility. In addition, the Housing Authority also serves as the administering agency for the Town of Glastonbury's Moderate Price Housing program, and staff for the Town's Fair Rent Commission. The mission of the Housing Authority of the Town of Glastonbury shall be to ensure the provision of housing opportunities for lower income persons in a viable community setting. It will develop and operate its programs in a manner that ensures that people are housed to acceptable standards; at affordable costs; in a manner that requires increasingly less subsidy from public resources; in an environment that stimulates socially inclusive communities and breaks down the barriers between tenants and home owners; and that provides the basis for individuals to realize their potential.